February 27, 2018 - Like us now! Blackberry seems to be following the ongoing vogue of the bezel-less smartphones and it could also drop the manual keyboard once and for all. 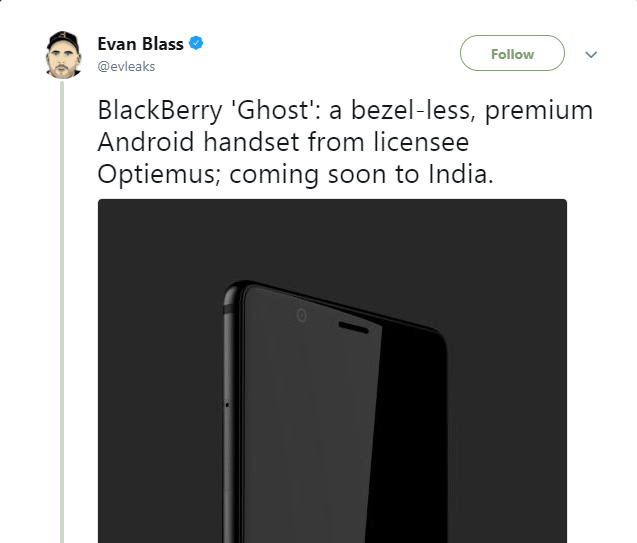 Mobile industry watcher Evan Blass has leaked an image of a smartphone, supposedly “Blackberry Ghost” in a Tweet, which might be launching in India anytime soon. The leaked picture claims the device to be a bezel-less premium handset, a high-end full-screen Andriod phone designed by an Indian company “Optiemus Infracom”. 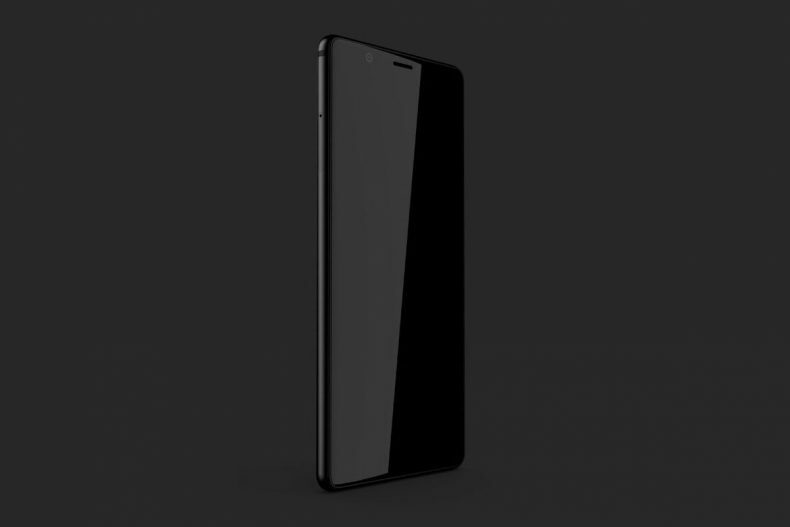 Optiemus Infracom is the company who signed the contract for the license of Blackberry, last year and this “Ghost” phone would be its first ever Blackberry designed phone. The company is s a renowned Telecom firm based in Delhi. The company has also acquired the rights to Blackberry for Srilanka, Bangladesh, and Nepal. 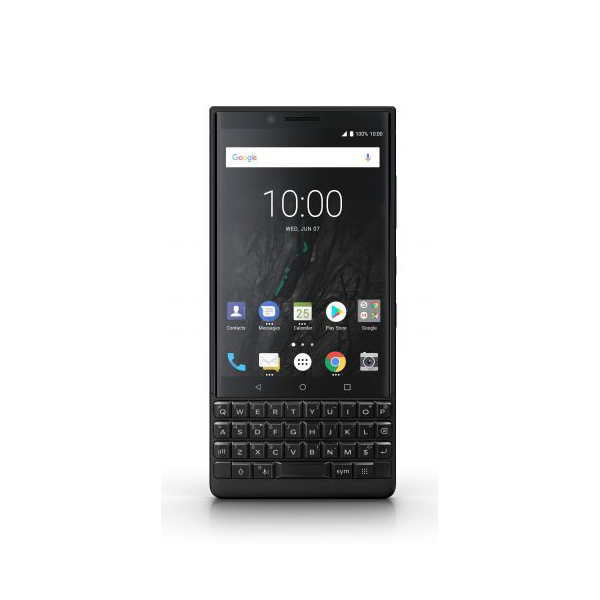 Meanwhile, other recent models of Blackberry are being made by different companies including some mega manufacturers like TCL and BB Merah Putih, soon after the company stopped designing and producing the phones, back in 2016. According to the rumors, upcoming blackberry will not provide mechanical keyboard on its phone and you will get a more sleek, slim and bezel-less phone like what people see in iPhone X and Samsung Galaxy S8. 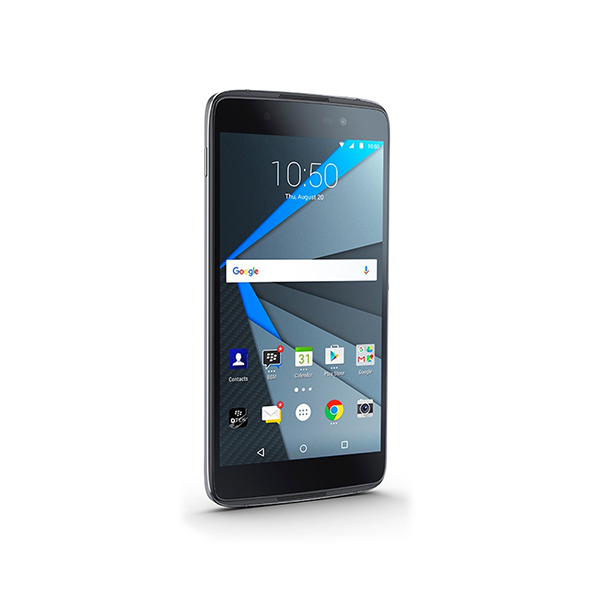 Though the phone will be produced for premium Indian Market, however, it is still unclear whether the Blackberry Ghost will be for other markets too or it will be just available in India.